POSTED: Tue, 06/05/2012 - 05:05 | POSTED BY: Melissa W.
It's not too hard to find this unique form of "tree mail" as these coconuts have been spotted at the Calypso Trading Post at the Caribbean Beach Resort, Bou-tiki at the Polynesian Resort and the Pirate's Bazaar outside of the Pirates of the Caribbean ride. 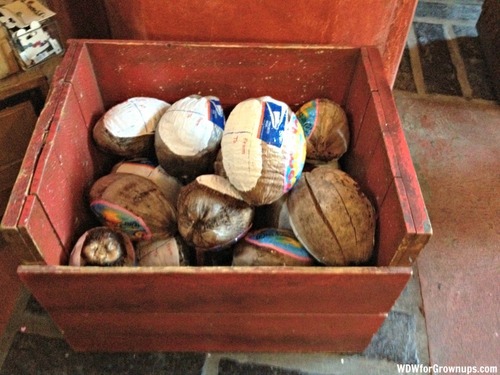 These coconuts have been drained of their milk, but still make a fun souvenir! 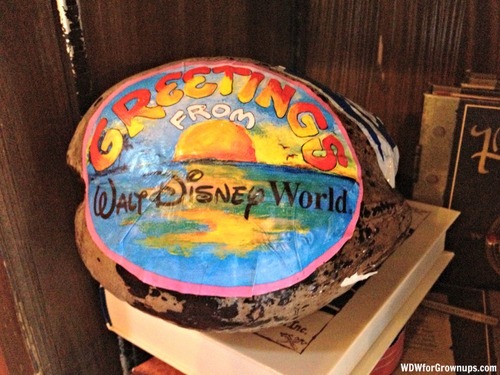 One side of the coconut is painted with the words 'Greetings from Walt Disney World' and the other side leaves room for a personal message. Priority mail postage is included in the price of the coconut which is around $20. 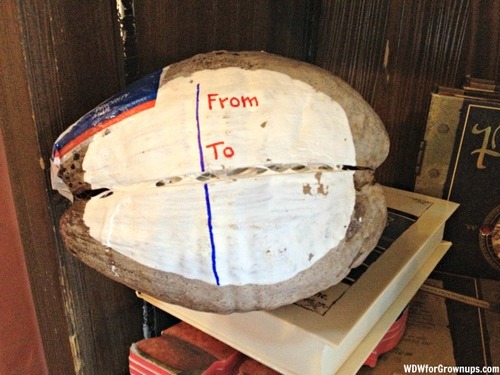 Imagine the surprise on a loved one's face when they are delivered a coconut by their postman! They can be delivered anywhere in the United States and are a fun take on a traditional postcard. Have you ever sent or received a postcard from Walt Disney World? Have you ever sent a Coconut? What would you think if you got one of these in the mail? Leave a comment and let us know!